NEW YORK – Dec. 3, 2018 – CIT Group Inc. (NYSE: CIT) today announced that its Healthcare Finance business, part of CIT’s Commercial Finance division, provided $28.7 million in financing for the acquisition of medical office buildings in Brockton and Haverhill, Massachusetts. The Brockton building houses the Greene Cancer Center, which is affiliated with Signature Healthcare Brockton Hospital. The building is leased to the hospital, which is launching a new oncology program on the campus, along with orthopedics and other specialist services. The Haverhill building, known as the Haverhill Medical Center, is a recently constructed medical office building leased to Anna Jaques Hospital in Newburyport, Massachusetts. 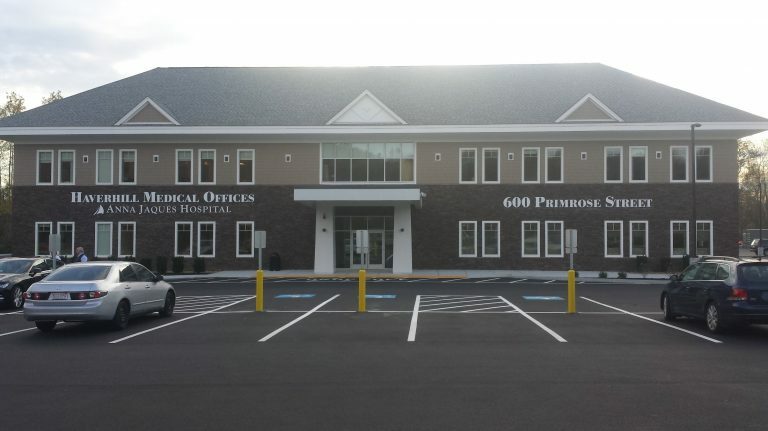 Both buildings were acquired by Chestnut Healthcare Partners LP, a discretionary investment fund co-managed by Anchor Health Properties and Chestnut Real Estate. “We worked closely with Anchor Health Properties and Chestnut Real Estate to understand their needs and create a financing package that supported their goals for these transactions,” said William Douglass, managing director and group head of CIT’s Healthcare Finance business. CIT’s Healthcare Finance unit provides comprehensive financing and banking solutions to middle market healthcare companies across the U.S. By using a client-focused and industry-centric model, Healthcare Finance can tailor its products and services to help clients meet their needs for growth capital. Anchor Health Properties is a national, full-service healthcare real estate development, management, leasing, and investment firm serving investors and health systems. Anchor takes a strategic approach to navigating the extremely competitive healthcare marketplace, considering multiple angles, such as retail drivers, customer experience, branding and efficiency of the project. We develop and manage projects across the United States that respond to the new landscape of employed physicians, team-based care, the need to optimize assets and reduce duplication, and the integration of care and technology. Anchor manages and leases over four million square feet of medical office space, inclusive of numerous projects under construction. Anchor maintains twelve offices nationally and features nearly 60 professionals in its ranks. Over the past five years, Anchor principals have acquired and/or developed over $3 billion of medical real estate across the country. Healthcare today calls not only for new and more efficient ways of delivering outpatient services, but also a different kind of healthcare development and management company. For more information, please visit: www.anchorhealthproperties.com.